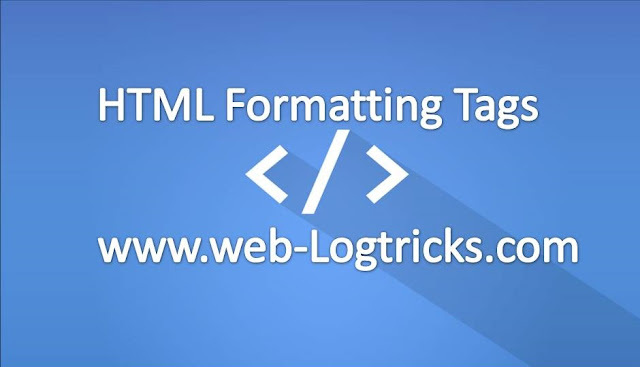 Today I gonna tell You some points about Formatting Tags in HTML, Because HTML is the first step or first language for making a website in the world of web development. because HTML is the main structure of the website in the so in my previous post you can gain knowledge about that HTML Basic elements and tags. First of all, you have to good knowledge about HTML and its elements, tags, some of the structure that how HTML best structure work then you can read below post. So I start from basic HTML tags like line break as like <hr> basically so many tags in HTML but I tell you some basic tags where every developer use these in his programming structure of HTML. A line break ends the line you are currently on and resumes on the next line. Placing <br /> within the HTML code is the same as pressing the return key in a word processor. Horizontal rules are used to visually break up sections of a document. tags with respective ending tags. This <b>Bold</b> and <i>Italicized </i> text. So this is the simple HTML formatting tags if you like this so you can share with your friends.